Is Prodigal GOP Inching Home? I'm a Bible-believing Christian first, a conservative second and, sometimes, with rapidly dwindling frequency, a Republican third (but only when the Grand Old Party is behaving itself). Although the GOP's RINO establishment still controls its legislative reins, I'm mildly encouraged by some recent developments at the Republican National Committee (RNC) level. It seems that under the leadership of Chairman Reince Priebus, the party is moving—at least to some degree—back toward its historical conservative platform moorings. It's a popular refrain among "moderate" Republicans and libertine libertarians that the GOP "must give up the fight on 'social issues'" (i.e., gun rights, religious freedom, protecting life and defending legitimate marriage and the natural family). If the GOP follows through and abandons these transcendent conservative values, it's done once and for all. The Republican Party had better run, not walk, back toward these conservative platform principles; otherwise Democrats will rule in perpetuity. The "progressive" juggernaut will finish off an America it has already maimed beyond recognition. As I've noted before, Ronald Reagan often spoke of a "three-legged stool" that undergirds what I call "complete conservatism." The legs symbolize a strong national defense, strong free-market principles and strong traditional social values. For the stool to remain upright, it must be supported by all three legs. If you snap off even one leg, the stool collapses under its own weight. A Republican, for instance, who is conservative on social and national defense issues but liberal on fiscal issues is not a complete conservative. He is a quasi-conservative socialist. A Republican who is conservative on fiscal and social issues but liberal on national defense issues is not a complete conservative. He is a quasi-conservative dove. By the same token, a Republican who is conservative on fiscal and national defense issues but liberal on social issue—such as abortion, homosexual activism or the Second Amendment—is not a complete conservative. He is a socio-liberal libertarian. Karl Rove represents the embodiment of this kind of mushy moderate false pragmatism—a Democrat-lite mindset embraced by the GOP's socio-liberal establishment. If you run into Karl and his ilk, don't forget to thank them for President Dole, President McCain and President Romney. Indeed, if the Republican Party ever hopes to occupy the Oval Office again, it's going to have to nominate a complete conservative and adopt a legislative agenda that reflects the values shared by the tens-of-millions who make up the GOP's complete conservative base. I don't mean by simply paying empty lip service either. I mean through unwavering legislative practice. As Mitt Romney might tell you, if the base ain't fired up, the base ain't going to the polls. "GOP is moving slowly—ever so slowly—back toward its conservative roots"
In 2012, the GOP approved a platform that, at least in writing, re-established a firm position on—as they say—"guns, 'gays' and abortion." It's now time for the Republican Party to stand firm atop that platform. As a complete conservative who shudders at the thought of a President Hillary "Benghazi" Clinton, I'm cautiously optimistic that some in leadership are beginning to scale the platform once more. The RNC, under Priebus, has recently taken steps that seem to indicate the message of the GOP's majority base is finally getting through. 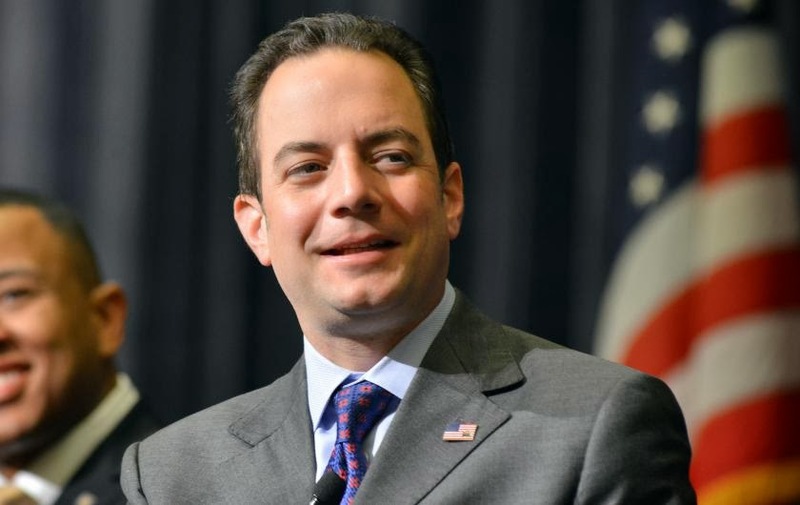 "In an unprecedented show of opposition to abortion, Republican National Committee Chairman Reince Priebus is delaying the start of the party's annual winter meeting so he and other committee members can join the (Jan. 22) March for Life on the Mall. ..."
"'I saw that there was a real interest among a significant portion of our members to attend and support the Rally for Life,' Mr. Priebus said in an email to The Times . 'This is a core principle of our party. It was natural for me to support our members and our principles,'" he said. "Today we celebrate National Religious Freedom Day and honor the vision of our founders, who ensured every American would have the right to 'the free exercise' of his or her faith. As a party, Republicans are committed to preserving and defending the protections enshrined in the First Amendment so that future generations will always enjoy religious freedom in America." This move back toward the GOP's conservative platform has made some socio-liberal Republicans unhappy. In fact, it recently drove homosexual RINO Jimmy LaSalvia, the founder of GOProud, a tiny "gay activist" outfit, to announce that he was defecting from the party. LaSalvia told Time magazine that, "he could no longer take his own party's refusal to stand up to bigotry: he was leaving the Republican Party and had registered as an Independent." By refusing to "stand up to bigotry," of course, LaSalvia, like all "gay" activists, means that he can no longer abide the Republican platform's support for religious freedom and pro-family values. LaSalvia's frustration and defection bode well for the Republican Party in general. It means that the GOP is moving slowly—ever so slowly—back toward its conservative roots. This is good news indeed. The more conservative this prodigal GOP becomes; the more successful it will be going forward. Keep it up, Mr. Priebus, and in November your base just might grill up the fatted calf.